Good old Flames of War, how I missed you. Been way to long not playing any Flames of War. I got a game in with a few friends, a 2v2 game. 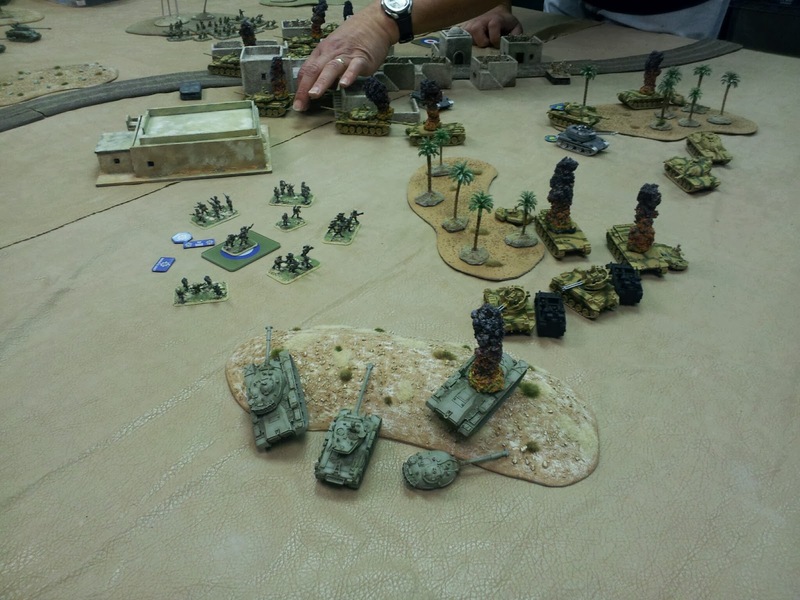 Richard and Mark (Jordanians) VS Pat (Israelis). With the Jordan forces hold up in the center of the map, Pat and I come up with a plan to move towards one flank of their line and let our Jets take out the back end of their forces. Killing off and holding up part of their forces on the first turn. It allowed me to take down another tank near a building with some tanks. My AA Half-tracks hiding behind some wrecks for cover. 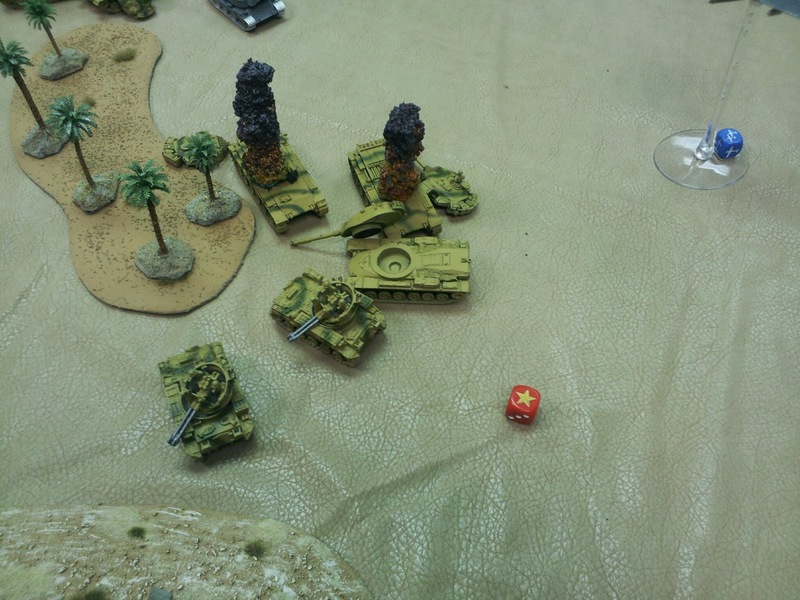 I take a hill and fire from a hull down position, losing one tank I fall back behind the hill for cover. A good exchange of armor. Pat after gun dueling for a turn or two moves out of the tree line area and pivots towards me heading to the Jordanian infantry in the open. 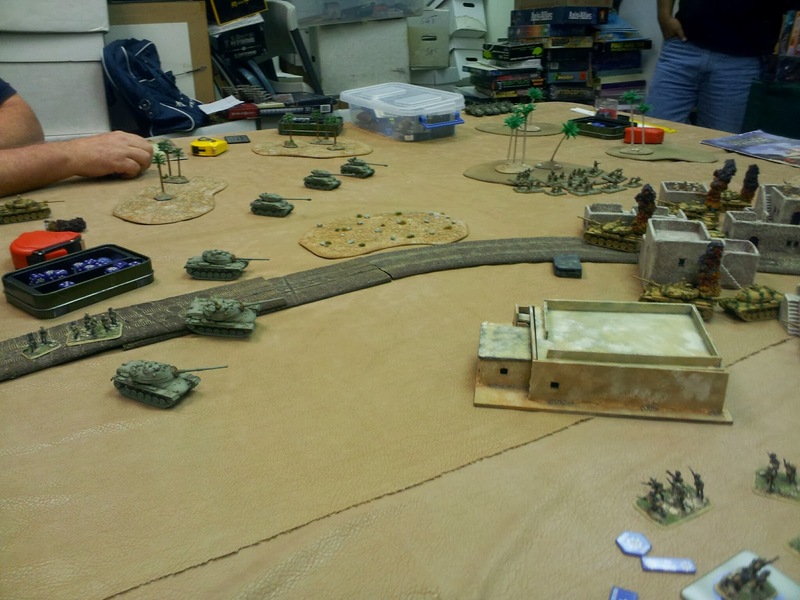 In the end we destroyed pretty much every piece of armor on the board while losing two tanks, we called the game for the infantry unit on the objective was pretty much out gunned with multiple tanks and half-tracks about the run them over. 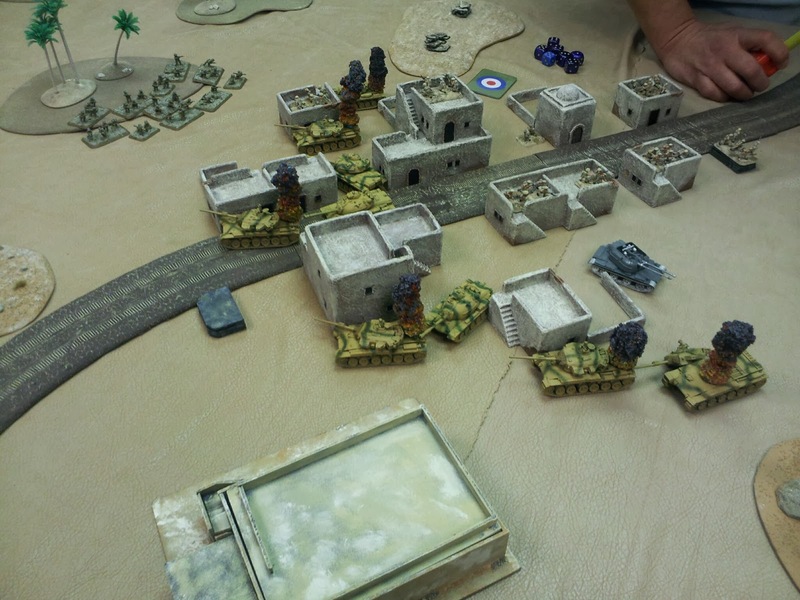 Not show was Pat's infantry unit heading into town towards the 2nd objective. It was a good game and someday I will have to get some units of my own painted up. I thank those that let me use their forces so that I could play also.